Easy Tiger is excited to bring you: MOMENTS. We had 1 goal in mind when creating this app. 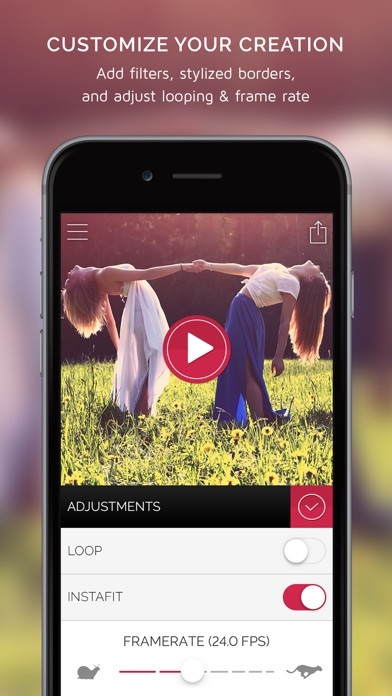 To make it ridiculously easy and fun to create beautiful video clips from photos of your life. 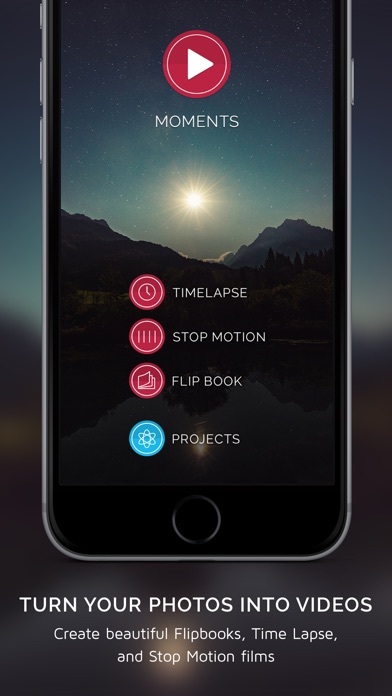 Here's how you do it: •CHOOSE your mode: Time Lapse, Stop Motion, or Flipbook. •CAPTURE some of life's beautiful moments with the built-in camera or select some of your favorite photos from your photo library. You can also save projects to work on over time, perfect for one shot-a-day style montages. •ADJUST the timing of your project. 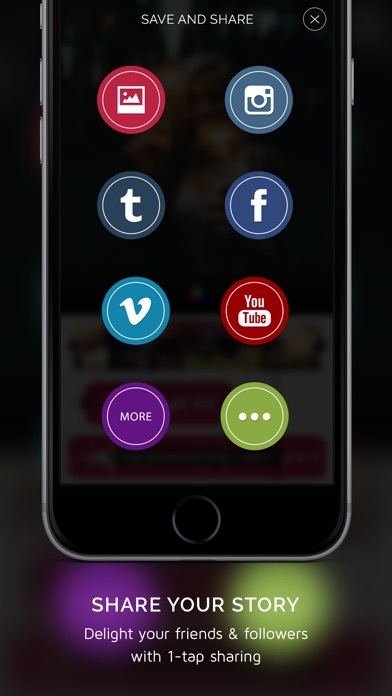 Control the looping, frame rate, or automagically make it a 15-second, Instagram friendly clip. •STYLIZE your creation by adding a title with our powerful text editor, add a soundtrack from your iTunes library to set the vibe, then top it off with some filters and frames •SHARE your life's beautiful moments to all the fancy social places like Instagram, YouTube, Vimeo, Facebook, Tumblr and more •VOILÁ You've just created something from nothing! 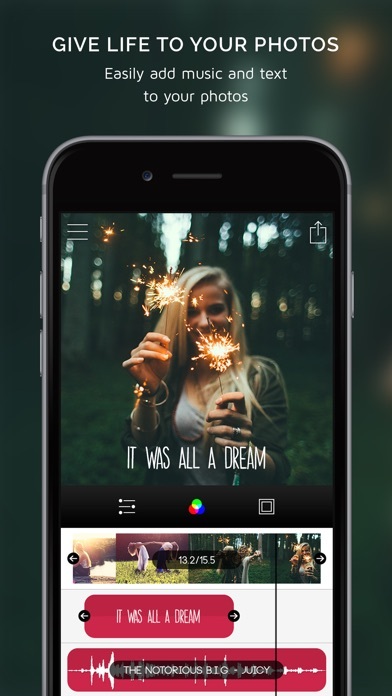 You can also just import 1 single photo into Flipbook to add text and music to it. For more creative and easy to use apps, check out our other titles, Split Pic, Font Candy, Fused, and Animal Face. Check out our Instagram @moments_app for inspiration, sneak-peeks of new features, and more apps that let your creative side soar (like the giant Griffon Vulture that it is). *Moments is optimized for use with the iPhone 5 or higher. For best results, hook yourself up with the 6Plus. Currently this app is only in English. I thing it works great! I literally just downloaded this app so I can't adequately give you proper feed back, but what I can say is so far so good. I'm new to this and I love how it works. I curious to how much I can do with this. Love the App. Only drawback is there is no helps section on how to effectively use the app. I even upgraded. Can't figure out after you pick pictures I don't see where you can add song and font. Which is first pictures or the song. Love this app!!!! I went pro version after using it just for a short time. Well worth it! 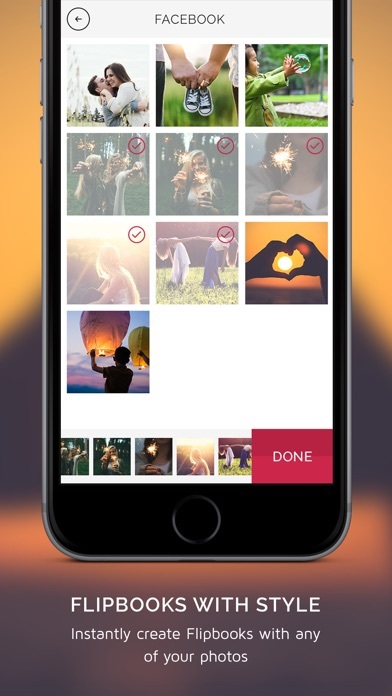 Let's you add pictures or delete photos to make your photo album perfect. Great app but it can add only 1 sentence ? If it can add more, please tell me how to do. Thank you. Just getting started with it. Fun and easy to use. Love love love it! Well done! I just got the app and am having lots of fun learning all the great things you can do with it!! I don't use this app as often as I would like but I do find it handy sometimes and I like having it. It's pretty cool but there is room for improvement. I did my first project after minutes of purchasing this app with a bundle. I went back in to edit that project and once I finish and want to finalize it so I can share it and the app exits out, I've restarted my phone and everything and the app does the same thing. I love how my project came out but hate that I can't finalize it anymore after I edited it. Jesus loved me now therefore I love him! He has blessed a lot of people through your guys' apps! Totally! Love this app. Super easy to use. -1 star because you can only add one text object. Otherwise, it's awesome. No settings for any camera controls (horizontal or vertical) which should be the most basic settings for image gathering. Big control area at the bottom of the screen stays on screen while recording! Why? You would be just as happy with the stock camera slo-mo or try i-motion, it works better as a camera control app. This app is a DUD! It takes too long to load the flip book feature. I would keep it only if responded a little quicker. Its definitly a good app you dont see many of these! Nice start. But it has memory glitches that render it useless for a 3 minute long flip book, even for novice level. After building a book of about 150 pics, which is not quite 3 minutes worth at 1 FPS, it starts dropping out previously added pictures whenever I attempt to add new ones from my camera roll. Specifically, this happens when I'm trying to add and move new pictures to the middle of the project. The last previously added pictures start dropping out. Also, the frame rate won't save to 1 FPS. It defaults to a faster speed. 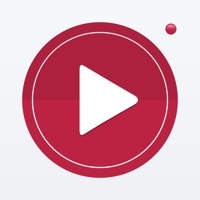 Perhaps if all you want is something about 15 to 30 seconds long, this app is easy to use and may work for you. The UI on this time lapse app is freakin awesome. I'm not gonna lie a have a few time lapse apps and this is one of the best. This app can only get better. Thank you so much.